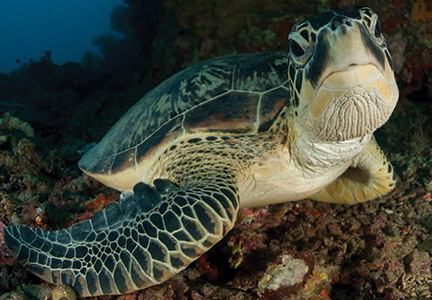 During sea turtle nesting season, a female can lay up to 180 eggs at a time, as often as six times. Temperature determines the gender of the turtle; warmer nests produce female hatchlings and cooler nests result in males. To lay their eggs, female sea turtles return to the same beaches where they were born. Once the female completes the nest and lays her eggs, she returns to the ocean. The hatchlings are left to fend for themselves and make their way to the water on their own.